Welcome! 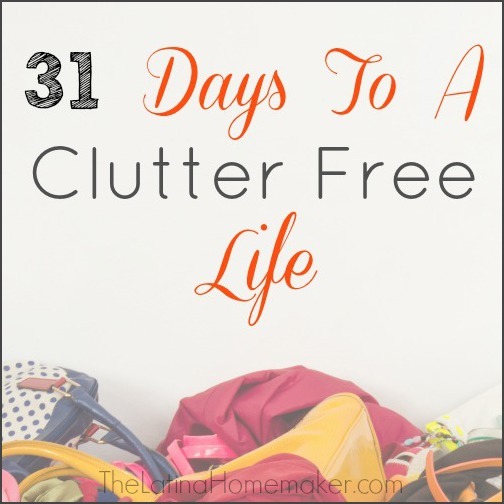 I’m super excited to be taking Ruth’s 31 Days To A Clutter Free Life Challenge and can’t wait to share my journey through each of the daily assignments. If you would like to join in make sure to sign up on Ruth’s site: Living Well Spending Less. This is where I will be updating daily with new posts, so make sure to bookmark this page or follow me on Facebook to stay up-to-date! Intro: Will you join me? Day 31: Clutter Free Forever!